Explanation: Driven by the explosion of a massive star, supernova remnant Puppis A is blasting into the surrounding interstellar medium about 7,000 light-years away. At that distance, this colourful telescopic field based on broadband and narrowband optical image data is about 60 light-years across. As the supernova remnant expands into its clumpy, non-uniform surroundings, shocked filaments of oxygen atoms glow in green-blue hues. Hydrogen and nitrogen are in red. Light from the initial supernova itself, triggered by the collapse of the massive star's core, would have reached Earth about 3,700 years ago. 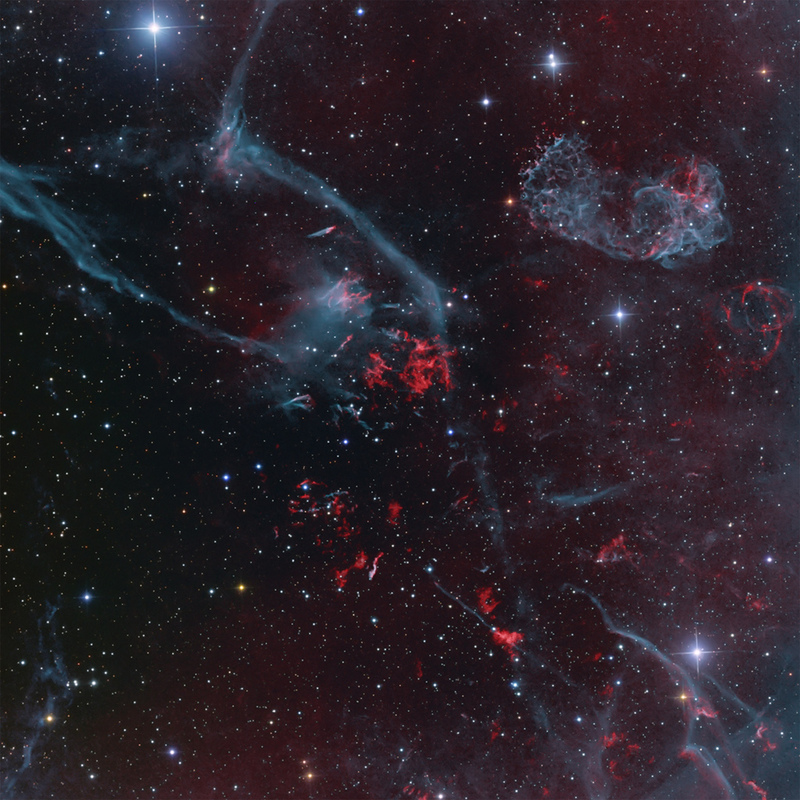 The Puppis A remnant is actually seen through outlying emission from the closer but more ancient Vela supernova remnant, near the crowded plane of our Milky Way galaxy. Still glowing across the electromagnetic spectrum Puppis A remains one of the brightest sources in the X-ray sky.